India-Australia ties are growing under the leadership of Prime Minister Tony Abbott and his Indian counterpart Narendra Modi. 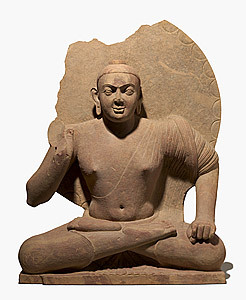 In such a responsive environment, the decision of Canberra’s National Gallery of Art (NGA) to return the 2000-year-old Kushan Buddha statue to India comes as a welcome surprise. The stone statue was purchased by Roslyn Packer, the widow of the late Kerry Packer, in the year 2007 for the NGA, from an antiquities dealer in New York. It was later established that the statue bought for over USD1 million was apparently stolen from an Indian archaeological site. Mr Abbott has reiterated at multiple occasions that he seeks to improve ties with India and restoring stolen artifacts illegally taken out of India is one move that India will surely appreciate. Earlier in 2014, Australia returned 11th century statues of Shiva Nataraja and Ardhanariswara. India saw the return of “Dancing Shiva” in September 2014. This 900-year-old bronze statue was found to be stolen from a temple. The NGA has further announced that it will investigate into the ownership of as many as 54 artifacts and review the legal ownership of these items.